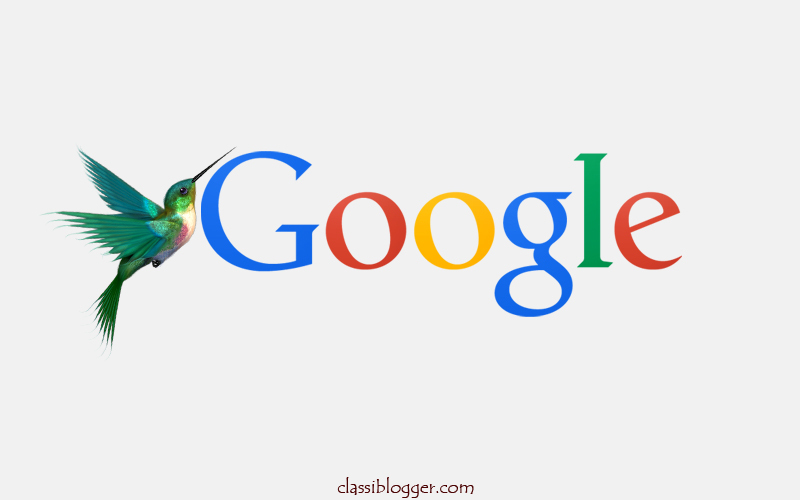 Home » Blogging Tips » Why Google Hummingbird matters? On the best ways to improve your SEO is to stay up-to-date with the latest search engine’s algorithm changes. In that way, on September 26, 2013 , Google told its participants at its anniversary event that it had introduced a new kind of search algorithm named “Google’s Hummingbird” that is going to impact more than 90% of the searches word wide. Google added, that this algorithm had started to run one month ago and none have noticed it. Hummingbird is the latest search technique of Google which will allow Google to do its job better through an improvement in semantic search. It seems that with Hummingbird Google can now answer the long-tailed queries even if the page is not optimized for them. So, now some pages have better chance of being found for certain queries now. Why do you need to understand Hummingbird? Hummingbird is the Google’s whole new search engine algorithm that includes smaller pieces like PageRank, Panda, and Penguin which are sub-algorithms. The framework which supports are all these are said to be built powerful to tackle all the long and tedious queries. More importantly, Google will develop new enhancements to the Hummingbird in the coming months making it more good and giving best experience for its users. The name Hummingbird comes from being ”Precise and faster”. Panda, Penguin and other updates are the changes to the parts of the older algorithm and not the replacement of the whole. Hummingbird still makes use of these older things to deliver the highest speed. In general, Google says that it is a new engine which is built upon both the existing and new parts, organized in a way to specially serve the search demands of today. So, now the bloggers and serious content creators have to be up-to-date about this search algorithm to sustain the huge traffic which you have already made. And here is one more important information that Hummingbird is likely to be around the next ten years and it becomes necessary for all the bloggers to update its search formulas. Also Read: How to Get Google Adsense? As a key part of Hummingbird, Google has upped its sophistication in understanding natural language. It now considers each word entered into the search bar, meaning it can better use both the natural and conversational searches. For example, when you enter ”What is the nearest place to buy iPhone5s to my home?” in the search bar, a traditional search engine might find you the pages that matches the keywords entered. But, the Hummingbird technique is quite smarter by getting you the exact pages by understanding the meaning behind the phrase entered in the search bar. This means, it tries to identify your location of your home if you have given it to Google and understands that iPhone is an electronic device carried by certain stores and then finds the pages related to iPhone keywords. This way the search is made quite better and smart. Google has improved its way of understanding natural language which means it has deeper understanding of the relationship between the keywords that forms topics. Thus, it becomes important for the bloggers to develop their content or blogs according to the latest updates. This means while developing a content, make sure to research the keywords you wish to target and think well about the customer’s search intent and create a relevant content that might definitely help you to shine even in this latest Humming search engine. With the introduction of Google’s Panda algorithm in 2011, those who tried to trick Google where not able to succeed at any cost. And for now, a more updated version of search engine has been released which assures the bloggers or site owners to avoid gaming over the big network of Google. Try to build genuine reputation for your blogs even if it takes time. Even though Google has changed its search algorithm, the core principles remains the same for years. Google’s Hummingbird considers only those pages that are reputable and trustworthy among huge audiences. Try to re-build the search engine friendly site(Word press is great for this), create relevant content and build a strong reputation among the public. Above all, be up-to-date in the techniques used by Google to filter the best sites and pages, so that it will be helpful to rebuild you pages according to that. Thus, even the successful bloggers don’t have to panic about the Google’s Hummingbird. Just know the updates of the search algorithms and design your pages according to that. Glad you like this post. You can Subscribe Here to get latest updates within your inbox. This is a nice article about Google Hummingbird. Am searching for this topics long time in the internet. Thanks for sharing such a wonderful post.